Marijuana legalization needs to extend to public spaces. Open-container laws have always targeted the poor and marginalized. States and cities need to permit marijuana use in public. Is marijuana legalization largely just a technicality? Recreational marijuana use has been legal in Seattle since 2012, but I still felt like I was getting away with something when I walked into a dispensary there this fall. There was a bouncer waiting behind a roped-off entryway on the otherwise quiet Capitol Hill side street. He passed my driver’s license through a small digital reader, which he said was meant to catch fake IDs, but which other dispensaries have used to log customers’ identities and track purchases. The staff inside was friendly, but sampling the product was strictly prohibited. In fact, there was almost nowhere to legally smoke what they were selling—not the sidewalk outside, not at the park a few blocks away, and definitely not in the patio smoking section at the neighborhood bar. The only safe place was at home—or the home of the friends I was staying with. At such moments, it’s easy to think marijuana legalization in Seattle is largely a technicality, more of a theoretical freedom that leaves plenty of potential for smokers to run afoul of the law. In Washington state, marijuana is governed under the same laws that prohibit public consumption of alcohol. “If you’re smoking in plain public view, you’re subject to a ticket,” Seattle City Attorney Pete Holmes warned in late 2012, just as Initiative 502—the legalization measure—was going in to effect. In Copenhagen’s Nyhavn neighborhood, café diners share space with locals getting buzzed on bodega beer sitting on canal-side benches. In alleys across China, an all-night vivacity surrounds shao kao stalls, where people from all walks can stop in for cheap beer and barbecue. Yet in most of America, our laws against publicly sharing a high or buzz with friends or neighbors will land you a court summons, and possibly even a night in jail. In most cases in Washington state, limits on how and where marijuana is used are easy to ignore, with the most common punishment in Seattle being a $27 fine. Yet, they still leave police with power to enforce them at their discretion, which almost always reflects racial and class-based prejudice. In 2014, Seattle was scandalized when police reported that almost half of the city’s marijuana violations were issued to homeless people, and more than a third went to black residents. The department later traced the majority of these summons back to a single police officer, who they claim had issued close to 80 percent of those violations. The city moved to vacate the summons after public criticism but continued passing new laws governing marijuana possession and use. Over the summer, the state Legislature extended these limitations, passing a bill that makes it a felony to run cannabis clubs or allow patrons to get high at your place of business. Lawmakers also made it illegal to carry marijuana in any part of a car accessible to either the driver or passenger. Smoking was also banned in all public housing in Seattle in 2012, and many landlords can include lease clauses prohibiting smoking on their premises, making it illegal to smoke in many private residences around Washington state. Recreational marijuana use is now legal in Alaska, Colorado, Washington, Oregon, and Washington, D.C. Many states, from New Mexico to Maine, allow medical marijuana use. Each varies in terms of how much one is able to possess or under what conditions one is allowed to grow marijuana. Meanwhile many municipalities have decriminalized the drug: In Maryland you can now have up to 10 grams of marijuana and not risk being arrested while in New York City you can have up to 25 grams and only face civil penalties. Next year Massachusetts will vote on a ballot initiative to fully legalize marijuana. (It was decriminalized in 2008, with legal medical marijuana following in 2012.) Similar ballot measures will go to voters in Nevada and Missouri next year. Arguably the most watched ballot to legalize will be in California. A similar initiative was rejected by California voters in 2010, but a Public Policy Institute of California poll suggests that support for legal marijuana there is higher than it’s ever been. Given the size of California’s population and economy, a victory there could be a historic turning point for the movement. Though marijuana has been illegal in some form or another since the early 1900s, the number of marijuana-related arrests has risen dramatically over the past few decades—alongside arrests for alcohol and other controlled substance. Marijuana possession arrests tripled between 1991 and 2008, according to a study from the University of Maryland’s Department of Criminology. An American Civil Liberties Union study of marijuana arrests nationwide found blacks were 3.7 times more likely than whites to be arrested despite having similar usage rates. While legalization efforts have led to major decreases in marijuana arrests, prohibitions on public consumption still give police discretion when it comes to enforcement—enforcement that continues to reflect and reinforce structural racism. Every state that has so far legalized recreational marijuana maintains a ban on public consumption, either smoking it or eating or drinking something made from it. A survey from the Colorado Judicial Branch found that while marijuana arrests had dropped by 80 percent between 2010 and 2014, marijuana arrest rates for blacks remained 2.4 times higher than for whites. In D.C., possession arrests have dropped by 99 percent since marijuana was technically legalized in 2014, but public usage remains punishable by $25 fines, almost half of which were issued in the city’s Seventh District, part of the city’s southeastern section that is 94 percent black. This disproportionate application of the law isn’t unique to marijuana, or the states where it’s legal. The brunt of open-container laws has always fallen hardest on the poor and marginalized. A 2014 study from the New York Civil Liberties Union found that open-container arrests were the most common charge under the city’s “broken windows” policy, with blacks and Hispanics making up 81 percent of all arrests between 2001 and 2013. These disproportionate arrest figures are driven in large part by the wave of laws prohibiting public consumption of intoxicants in the late 1970s and early 1980s that helped add a criminal veneer to behavior that’s seen as positive and social in many other parts of the world. Mayor Ed Koch helped pass a ban on open containers in New York City in 1979, part of a larger attempt to curb the city’s infamous crime rates by creating new pretexts for cops to arrest people for behavior that had been both legal and socially acceptable to that point. A few years earlier it was commonplace to share a few beers on the stoop or in the park, but it quickly became a taboo. Today, drinking in public has been banned in 89 of the 100 most populous cities in America, rationalized by the mythic association between poverty, criminality, and reckless intoxication. As has often been argued, the sorts of negative behaviors most commonly associated with public intoxication are cultural as much or more than they are the result of any single substance. The sorts of depraved binge consumption we assume leads to criminal behavior is far more common among the wealthy than the criminalized poor. A Centers for Disease Control and Prevention study on binge drinking in America found that the practice was most common in households with incomes greater than $75,000. Another study from the University of Illinois found that 81 percent of people making $75,000 a year or more drank, compared with only 46 percent of those earning $20,000 or less. In a story on the effects of alcohol across cultures, Malcolm Gladwell forwards the myopia theory of drunkenness, which has shown highs are significantly influenced by environment. 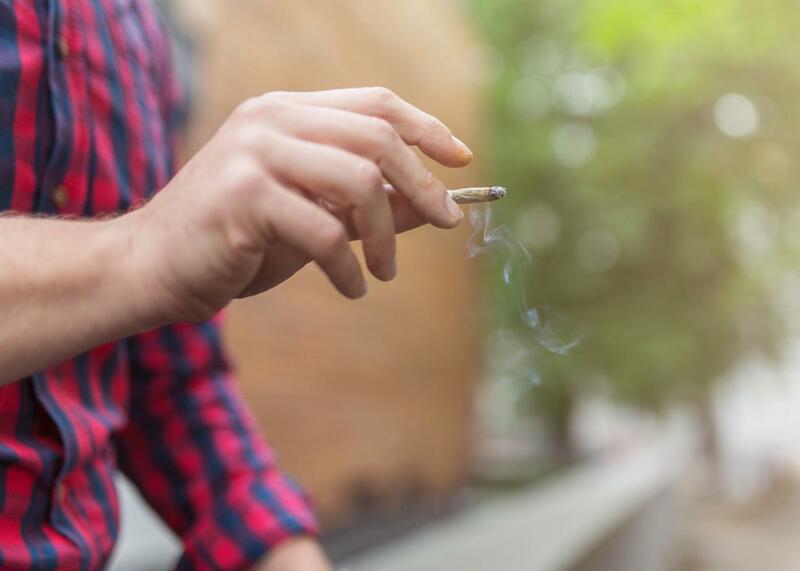 A recent experiment from the University of California–Berkeley suggests that one’s environment can affect the desire to get high in the first place. Lab mice are prone to rapidly escalating cocaine use when given free access to the drug, but the Berkeley experiment found mice that were kept in spaces built for exploration and exercise, and filled with hidden treats were dramatically less interested in returning to spaces where they’d previously been given cocaine. Mice in cages with no such options showed dramatically higher drug-seeking behavior. Attributing criminal behavior to intoxication is another way of punishing individuals for the dysfunctions of their environments, a category error that reinforces the environmental bleakness and hostility that make the escape of being high on one substance or another so desirable. Whether getting high is good or bad, it is at the very least an expected response to the conditions many of us live in. I’ve never liked smoking pot, but some of my closest friends are daily smokers. Every few years I give it another shot, including twice in the weeks I spent working on this story, but even in mild doses it makes my brain feel like drying cement. I can’t imagine how someone could take pleasure in that feeling, but it’s always been humbling to share moments of other people’s pleasures even without being able to totally understand them myself. As social ritual, these sorts of moments can both deepen a friendship and temper one’s relationship to chemicals by emphasizing the importance of sharing, community, and public interaction alongside any fetishistic romance of one chemical or another. Laws against public consumption of intoxicants like marijuana or alcohol have done little to prevent anyone from consuming them in public. Instead, they’ve helped create a toxic anxiety about always being watched, leaving some small part of your brain on alert for cops, cameras, or tattle-minded neighbors, all of which quietly sour our shared spaces instead of securing them. There are some signs of fatigue with the American insistence on public sobriety. Earlier this year the Ohio Legislature made it legal for cities with populations of more than 35,000 to create public open-container areas. This summer, Portland, Oregon’s World Famous Cannabis Café reopened after local lawmakers said patrons could smoke marijuana on the premises as long as they brought their own from home. Marijuana advocates in Colorado and Washington are meanwhile lobbying to try and make similar clubs legal by next year, though if the history of alcohol in America can be a guide, treating pubs or clubs as a compromise between public and private space would be a hollow prize. Marijuana’s long prohibition seems to be nearing its end, but what’s come from it so far feels as eerily controlled and haphazardly punitive as what’s followed the repeal of alcohol’s prohibition—a reminder that many American freedoms are easier to brag about than put into practice.